The Indian government is to fund new fertility clinics to help save its dwindling Parsi population which is now under threat of extinction. India’s Parsis first came to the subcontinent more than 1,000 years ago from Persia where they faced persecution from the country’s Muslim majority for their ancient Zoroastrian faith. It is believed to date from around the 6th Century BC and was once one of the world’s most powerful religions. Its followers believe in a creator and the teachings of the prophet Zoroaster. They worship fire as a sign of divine purity and traditionally buried their dead on ‘towers of silence’ where they were devoured by vultures. Today they are one of India’s most successful communities with Parsi figures playing leading roles in commerce, politics, the military and entertainment industry. 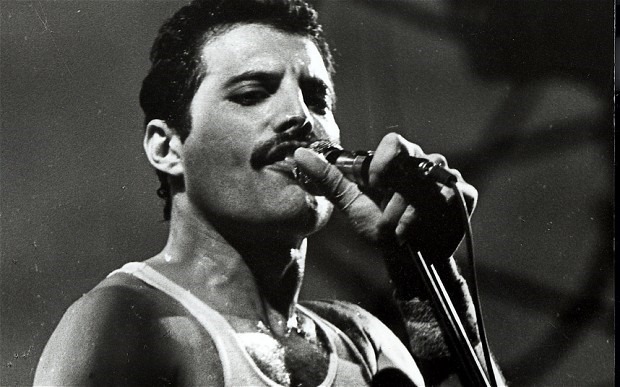 Freddie Mercury, the late lead singer of Queen, was born Farrokh Bulsara and came from an Indian Parsi family. India’s ruling Nehru-Gandhi dynasty, which has dominated the Congress Party since independence was created when Feroze Gandhi, a Parsi freedom fighter, married the then Indira Nehru. Ratan Tata, India’s most successful industrialist and owner of Jaguar Land Rover and Corus Steel, the late Field Marshal Sam Manekshaw, India’s most celebrated soldier, and the acclaimed novelist Rohinton Mistry are all Parsis. But despite their illustrious past and the continuing success of many Parsis today, their numbers are dwindling so fast that government and officials and community leaders have agreed a plan to increase its birth-rate and halt a decline towards extinction. Their numbers have declined from just under 115,000 in 1941 to 69,601 in 2001 – the last fully published census. The numbers are believed to have declined further since then. In Mumbai, the heart of India’s Parsi community, there are now only between 40,000 and 45,000. According to Parsi leaders the community has been a victim of its own success. As it has become increasingly educated and wealthy, its young women have married later, while its men have wanted to wait until they have established successful careers before marrying. As a result, many wait until their fertility declines before they start to think of having children. Khojeste Mistree, a member of the Bombay Parsi Panchayat and a leading community, said the government has earmarked around £250,000 to extend the work of successful fertility clinics throughout Parsi populations in Maharashtra. "We have a project to encourage young couples to go to a special doctor we’ve identified as an expert in fertility. We’ve been doing this for the last seven years and we will now extend this programme. It has been successful – 232 babies have been born [as a result]," he said. The group is also planning to build new, larger apartments for young Parsi couples to encourage them to have larger families. Parsi couples should be having four children each, he said, but most were only having two at most. "Our boys are marrying at 31, our girls at 29, important fertility years are lost. They study and after study they want to get jobs, and then marry after they have a good job. if you study any successful community they tend to have fewer children," he said. Some had married outside the faith and their children are not accepted as Parsis. Some Parsi figures have called for the children of mixed marriages to be accepted into the fold, but Mr Mistree said such a move would see the bloodlines of Parsis eliminated in a few generations. "If you open up to this kind of step, then within eight generations the Parsi identity won’t be there. That’s not acceptable for us," he said.